It is official! All is set for the Jacaranda music fest which is set to take place on the 6th of October at the Hellenic Sports Club in Harare. 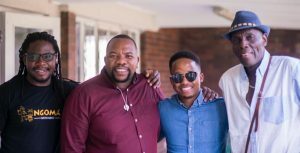 Micasa, Oliver Mtukudzi and Yvonne Chaka Chaka will headline the inaugural Jacaranda Fest, organisers of the Jacaranda music festival have revealed. Other performers include Mokoomba, Mbeu, Norman Masamba and a number of artists and Djs who will share the stage with these huge artistes. In addition the festival is powered by Zim’s number one youth radio station Power FM to help host the event.